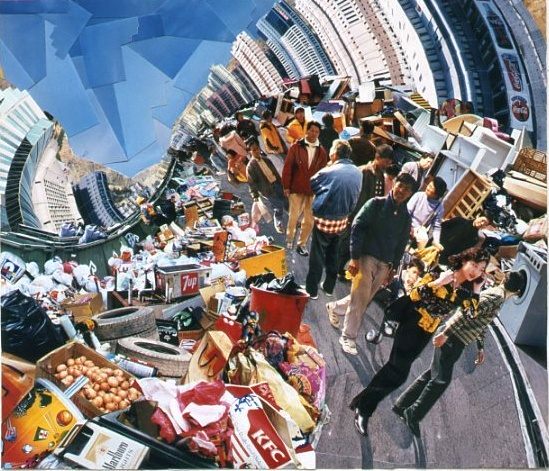 Created during 1996 to 2000 these photomontages capture the overcrowding, traffic and rubbish endemic to over-crowded cities the world over. 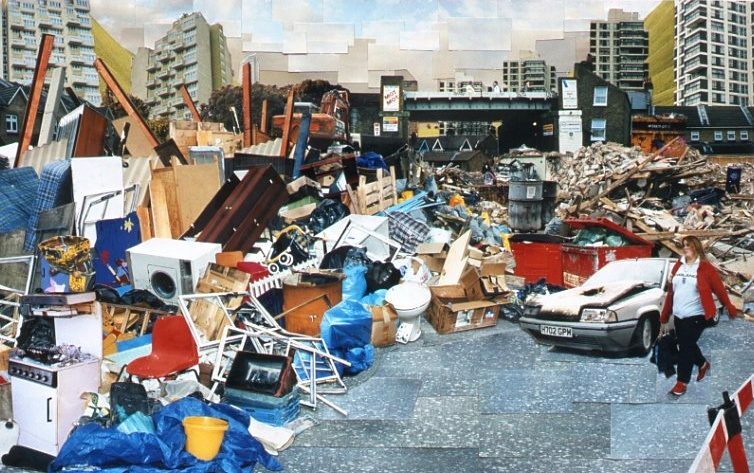 Without using digital hardware each photomontage is created ‘old-school’ giving them an appealing hand-craftedness. 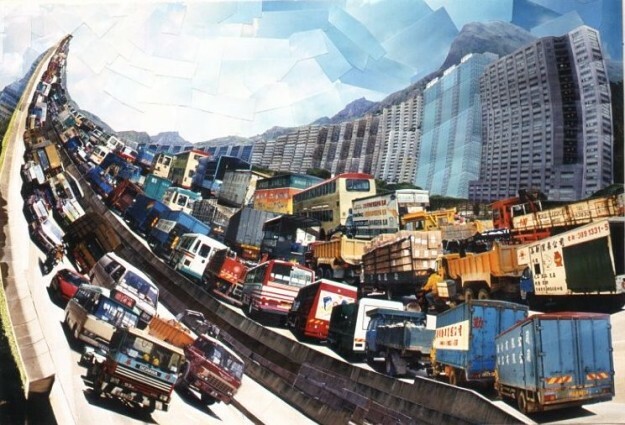 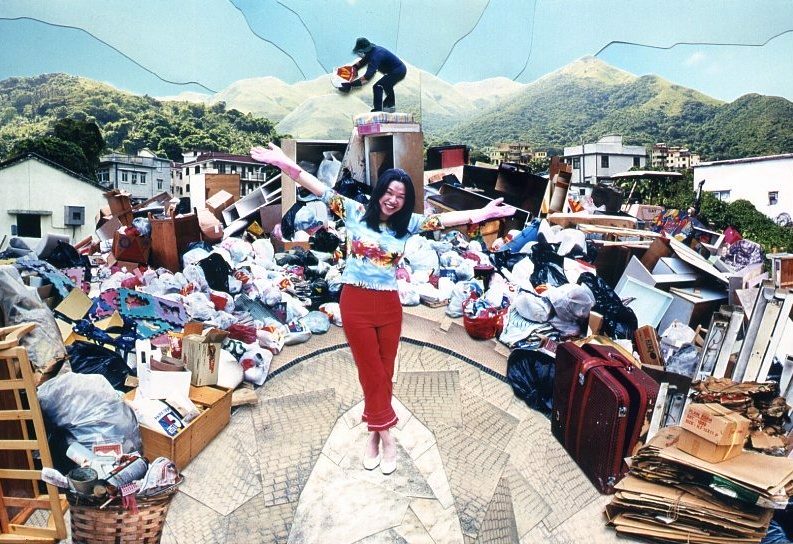 In portraying the chaos and visual excitement of Hong Kong each person, piece of rubbish, or vehicle in motion was separately photographed, processed in a lab, cut out and glued into place. 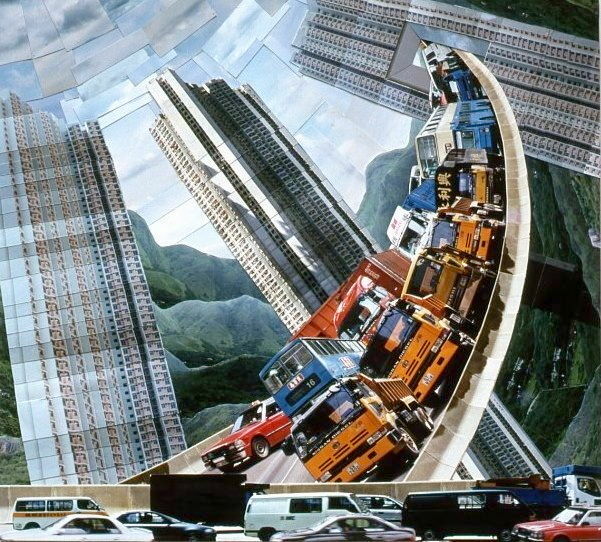 On the Way to Work was created in London several years later in 2005.